I love a good granola bar, and not the kind packed full of preservatives and other ingredients I can’t even pronounce. I mean the really good for you granola bars, with real, whole ingredients. I was thrilled to come across these no-bake bites from the Dainty Chef and try them out. The best part is that you can substitute ingredients if you prefer something else, but I liked the sound of the original combination. The only change I made was using dark chocolate chips. These were a little difficult to roll up, feeling like I got more on my hands than I did in the bites themselves. Maybe next time I’ll spray my hands with cooking spray (or I suppose I could invest $5 into a cookie scoop! ), because there will be a next time. Or even try putting them in a pan and cutting them into bars. These would be a great little snack for camping or hiking, good for the kids, and perfect for back to school. Speaking of kids, Nate likes to put a couple of these in his lunch and really enjoys them. They really fill you up. I love the coconut, though I know most people either love it or hate it, and the peanut butter with the dark chocolate combination is heavenly. 1. 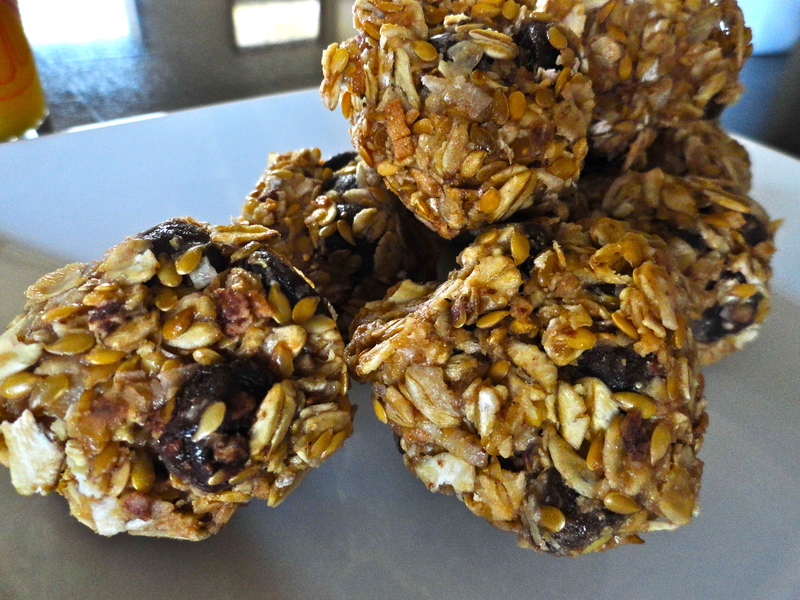 In a medium bowl, combine oats, coconut flakes, flaxseed/wheat germ, and chocolate chips. Stir in peanut butter, honey, and vanilla until well combined. Refrigerate for at least one hour. 2. 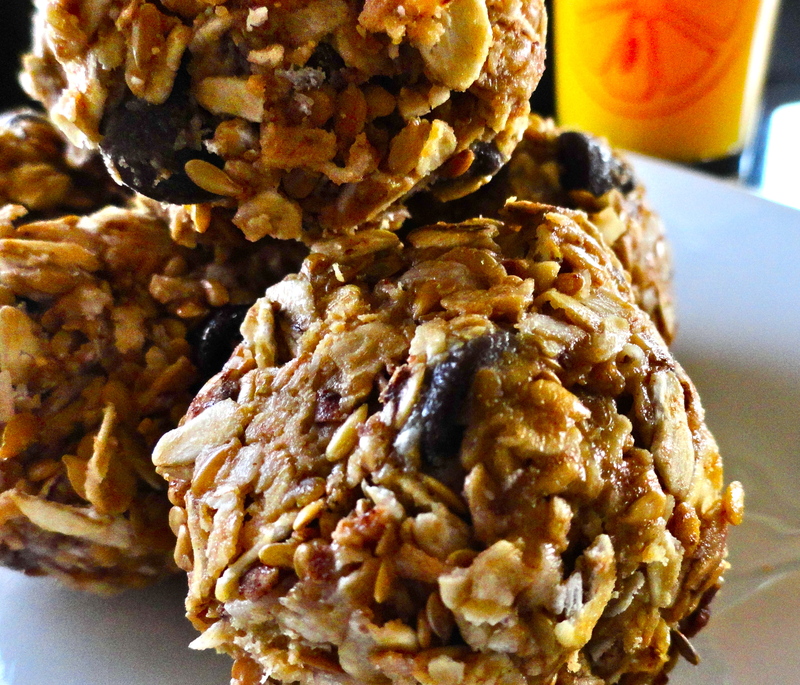 Using a cookies scoop or your hands, roll the mixture into 1-2″ balls. Store in an airtight container and refrigerate for up to two weeks.